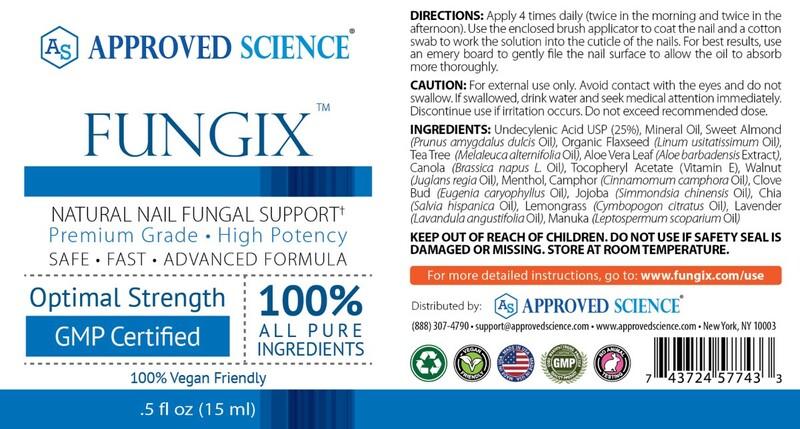 The Most Powerful Anti-Fungal Formula On the market. LIMITED TIME OFFER - 60% OFF! ONLY 4 6 BOTTLES REMAIN FOR THIS OFFER! “Clinically supported ingredients proven to combat nail fungus"
A powerful anti-fungal agent derived from castor oil. 25% is the most effective concentration. A widely used essential oil from the melaleuca tree. It has strong soothing & antiseptic properties. One of the most commonly used medicinal herbs. Soothes irritation & speeds up wound healing. Contains high levels of polyunsaturated oils which help to reduce inflammation. An antibacterial substance produced by bees that helps reduce swelling & aids skin healing. A highly absorbable form of Vitamin E. Maintains skin hydration & restores healthy skin tone. An extract derived from mint plants. Provides analgesic relief & acts as an anti-inflammatory. This compound is derived from the Cinnamomum camphora tree. A natural anti-itching agent. One of the most effective natural analgesics. Acts as an anesthetic and an antiseptic agent. Long used in the cosmetic industry, the antibiotic properties of this oil were recently discovered. Contains triketones, an anti-fungal that also promotes multiplication of critical healing cells. A combination of beneficial oils that assist the anti-fungal compounds in penetrating the skin.